Settled in to 2016 yet? Neither have we. Find comfort in new books, and know that you’ll eventually stop writing 2015 on everything. It might be 2017 when it happens, but NEW BOOKS! ICYMI, here’s the link for releases from the first half of the month. And submit your February releases here. Song of Song by L.J. LaBarthe (January 18; Dreamspinner Press; MM/Science Fiction) – It is the year 2275, and though some consider Earth a paradise, for most people on the planet or her outer-world colonies, it’s anything but. Untamed Love by Lindsay Evans (January 19; Harlequin; Kimani) – A winning bid at a silent auction gets Mella Davis more than just complimentary services from landscape architect Victor Raphael. It sparks an instantaneous attraction to the brooding bachelor that takes her completely by surprise. Stern and tightly wound on the surface, irresistibly masculine underneath, he’s a challenge to her single-and-loving-it status—and to the heart she’s learned to protect. And still, she can’t help giving in. Ever since love burned him in the past, nothing has cracked Victor’s calm control. Then he glimpses carefree, vivacious Mella at a Miami charity event. Uninhibited days and sensual nights follow as she brings warmth and desire back to his world, until doubt wrenches them apart. Opposites attract, but can they also overcome their differences…and sow the seeds to thrilling and lasting love? 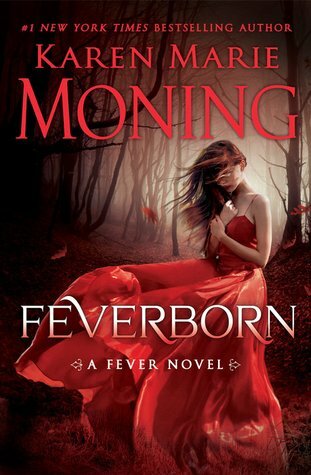 Feverborn (Fever #8) by Karen Marie Moning (January 19; Delacorte Press; Urban Fantasy) – When the immortal race of the Fae destroyed the ancient wall dividing the worlds of Man and Faery, the very fabric of the universe was damaged and now Earth is vanishing bit by bit. Only the long-lost Song of Making—a haunting, dangerous melody that is the source of all life itself—can save the planet. 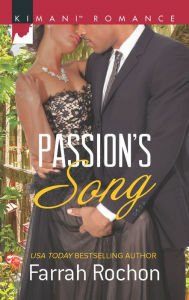 Passion’s Song by Farrah Rochon (January 19; Harlequin Kimani; Romance) – A desire they never imagined… New Orleans has always been a musical city, and April Knight quickly fell under its spell. Despite the challenges of poverty and disillusionment, April defied everyone to realize her dream of becoming a celebrated cellist. Buoyed by her success, she’s returned to the Ninth Ward to share her encouragement and enthusiasm with the local youth, unaware of a new passion that awaits. Confucius Jane: A Novel by Katie Lynch (January 19; Forge Books; Women’s Fiction) – On leave from college, Jane Morrow has a new job, helping out in her uncle’s fortune cookie factory, and a new roommate—her precocious 11-year-old cousin. Though surrounded by her loving family and their close-knit Chinatown community, Jane feels like a colossal failure. Writing fortunes is a kind of poetry, but Jane is penning words of wisdom for strangers while wondering if she will ever have the guts to move on with her life. 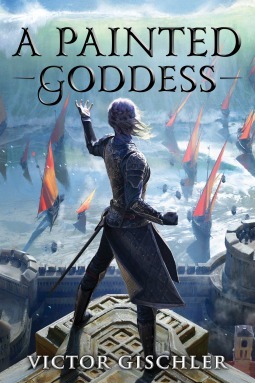 A Painted Goddess (A Fire Beneath the Skin #3) by Victor Gischler (January 19; 47North; YA/Epic Fantasy) – When the gods go to war, who will stand against their divine fury? Surrender at Sunset by Jamie Pope (January 19; Harlequin Kimani; Romance) – Ever since enduring a possibly career-ending injury, Miami superstar shortstop Carlos Bradley has retreated from the world. His life undergoes a radical makeover when he’s convinced to hire a designer to restore his secluded island mansion to its former glory. Completely different from the women Carlos has known, interior decorator Virginia Andersen captivates him with her infectious spirit and the sensuality beneath her coolly professional demeanor. 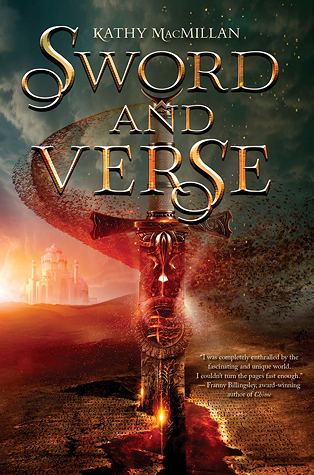 Sword and Verse (Sword and Verse #1) by Kathy MacMillan (January 19; HarperTeen; YA/High Fantasy) – Raisa was just a child when she was sold to work as a slave in the kingdom of Qilara. Despite her young age, her father was teaching her to read and write, grooming her to take his place as a Learned One. In Qilara, the Arnathim, like Raisa, are the lowest class, and literacy is a capital offense. What’s more, only the king, prince, tutor, and tutor-in-training are allowed to learn the very highest order language, the language of the gods. So when the tutor-in-training is executed for teaching slaves this sacred language, and Raisa is selected to replace her, Raisa knows any slipup on her part could mean death. Friends who flirt—that’s corporate attorney Farrah Blake and high-tech security expert Robert Gold. Farrah, second of the wealthy Blake triplets, has no intention of acting on her attraction to the notorious bachelor. Until a business trip to Sin City turns into a wild and wanton weekend that leaves her with an unforgettable souvenir: a wedding ring! 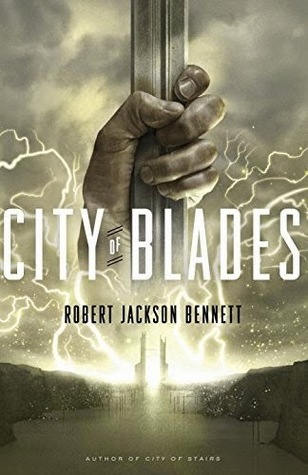 City of Blades (The Divine Cities #2) by Robert Jackson Bennett (January 26, 2016; Broadway Books; Urban Fantasy) – The city of Voortyashtan was once the domain of the goddess of death, war, and destruction, but now it’s little more than a ruin. General Turyin Mulaghesh is called out of retirement and sent to this hellish place to try to find a Saypuri secret agent who’s gone missing in the middle of a mission, but the city of war offers countless threats: not only have the ghosts of her own past battles followed her here, but she soon finds herself wondering what happened to all the souls that were trapped in the afterlife when the Divinities vanished. Do the dead sleep soundly in the land of death? Or do they have plans of their own? 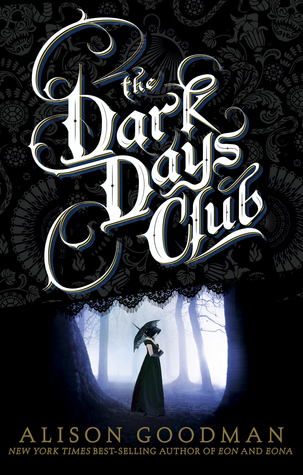 The Dark Days Club (Lady Helen #1) by Alison Goodman (January 26; Viking Books for Young Readers; YA Historical Paranormal) – London, April 1812. On the eve of eighteen-year-old Lady Helen Wrexhall’s presentation to the queen, one of her family’s housemaids disappears-and Helen is drawn into the shadows of Regency London. There, she meets Lord Carlston, one of the few who can stop the perpetrators: a cabal of demons infiltrating every level of society. Dare she ask for his help, when his reputation is almost as black as his lingering eyes? And will her intelligence and headstrong curiosity wind up leading them into a death trap? Forbidden by Beverly Jenkins (January 26; Avon; Historical Romance) – Rhine Fontaine is building the successful life he’s always dreamed of—one that depends upon him passing for White. But for the first time in years, he wishes he could step out from behind the façade. The reason: Eddy Carmichael, the young woman he rescued in the desert. 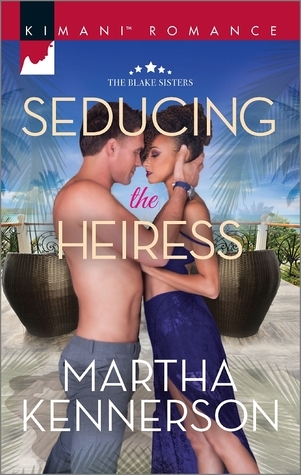 Outspoken, defiant, and beautiful, Eddy tempts Rhine in ways that could cost him everything . . . and the price seems worth paying.